There’s a nice house and garage in town that’s set back from the street in the trees. I see it every week, and the light coming across the lawn is always so appealing. I’ve taken a bunch of photos over time. 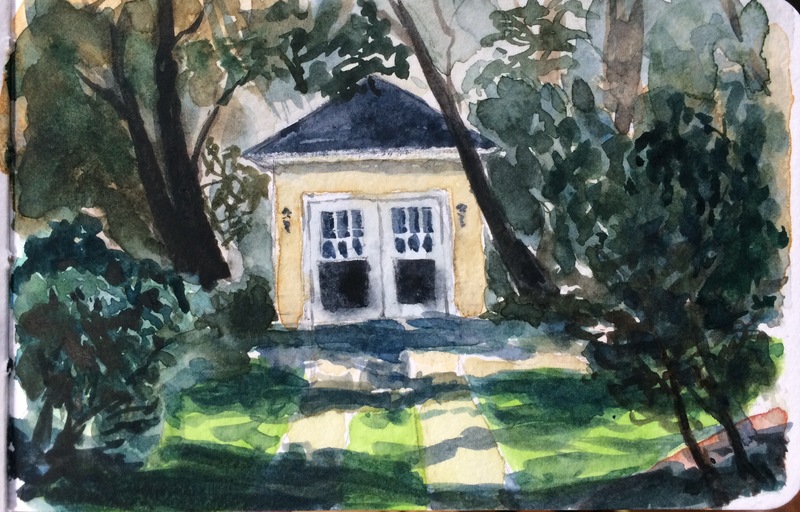 With a gloomy day today, it seemed worth revisiting them for a small sketch to practice capturing light across a lawn.